in Google Maps for Android, we want to help you get a little extra love right back. After launching check-ins for Latitude last month, today we’re rolling out our first check-in offers at more than 60 great places in Austin, Texas. Checking in from Google Latitude lets you easily share the places you go with friends, and you can even choose to get check-in notifications or automatically check in to make it even easier. 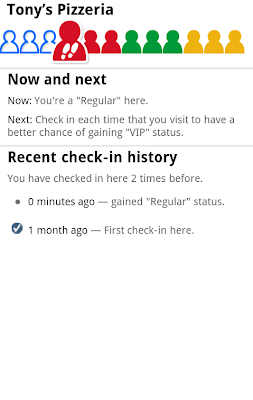 In addition to sharing places, you can also gain status as a “Regular”, “VIP”, or “Guru” at places depending on how often you’ve checked in there. You can even see your progress along the way by tapping your current status. I’ve been checking in almost everywhere I go, and after a steady stream of caffeination at my favorite coffee shop, I’m proud to be a Guru there! 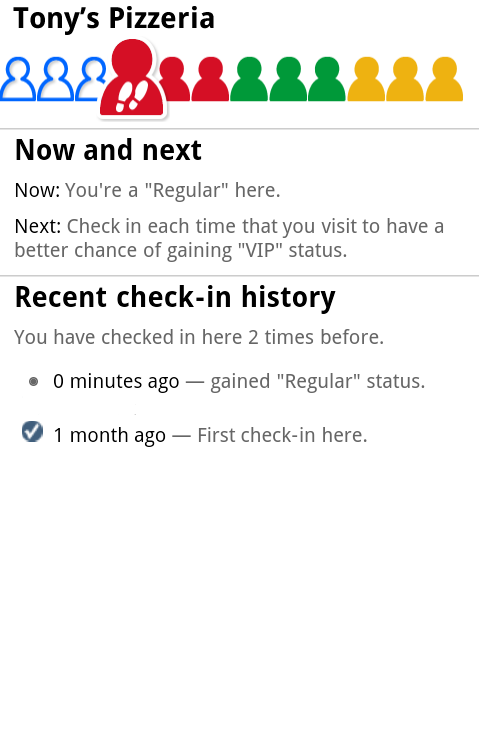 From the Place page, find available check-in offers (left); tap your status to see where you stand and find your check-in history (right). In addition to pride, you can now unlock check-in offers that places have created for your status level. So, a restaurant or shop can give their Regulars a reason to keep coming back and their Gurus an awesome reward for their loyalty. 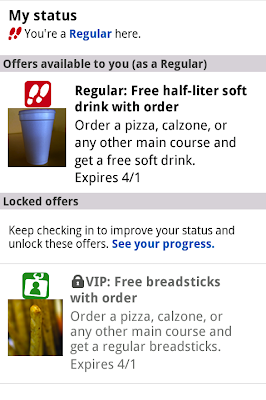 Check-in offers can be as creative as places want for any of the three status levels. 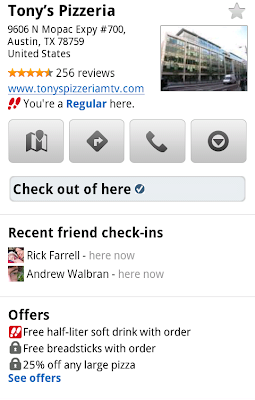 You can find places where check-in offers are available in Google Maps for Android search results and Place pages. 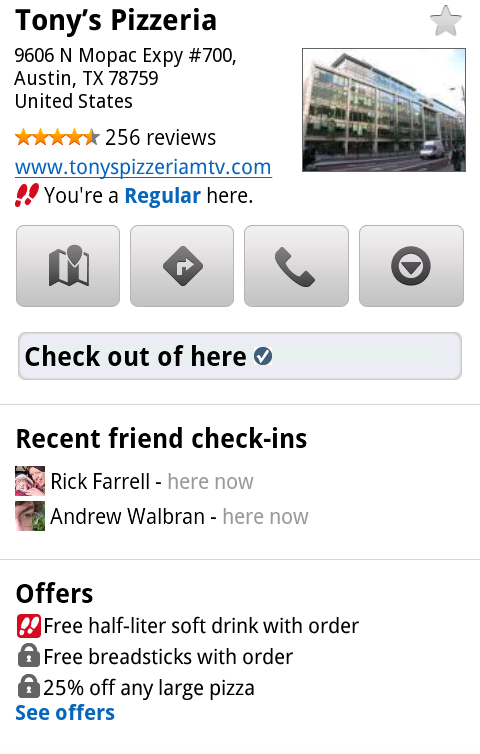 See if a place has check-in offers available in your Google Maps for Android search results. You’ll be able to see both available and locked check-in offers. 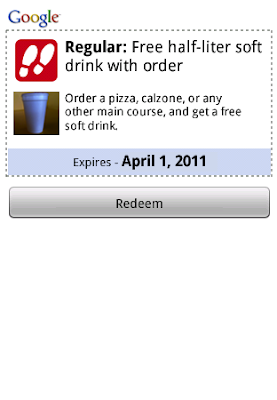 And once you gain status and unlock a check-in offer, just tap Redeem and show your phone to use it. Learn more at google.com/mobile/checkin. 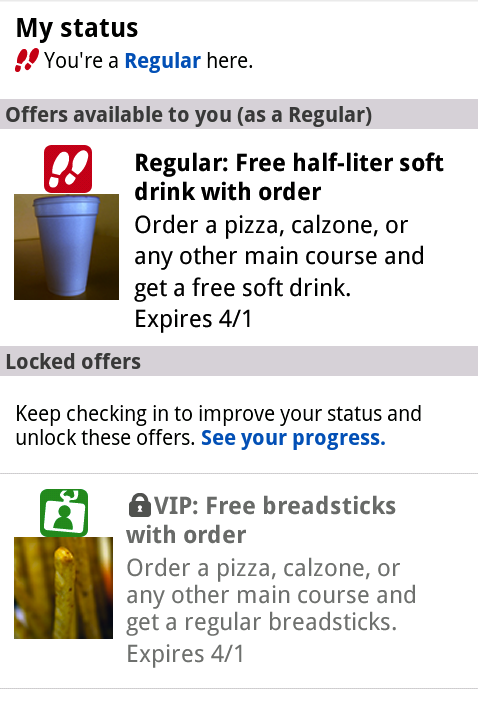 See locked offers and ones available at your status level (left); tap an unlocked one and redeem it (right). Find all the check-in offer locations in Austin on a map, and then see more details by opening their Place pages in Google Maps for Android. To get started unlocking offers, update to Google Maps 5.2 in Android Market (requires Android 1.6+) and tap Check in here from a Place page or from Latitude’s menu. If you haven’t yet, join Latitude and check in wherever you go. And if you’ve got an iPhone, the Latitude app for iPhone will be updated with check-ins and check-in offers soon. Do you have a go-to restaurant you love – a place where everybody knows your name? If you’ve been checking in there from Google Latitude in Google Maps for Android, we want to help you get a little extra love right back. After launching check-ins for Latitude last month, today we’re rolling out our first check-in offers at more than 60 great places in Austin, Texas.